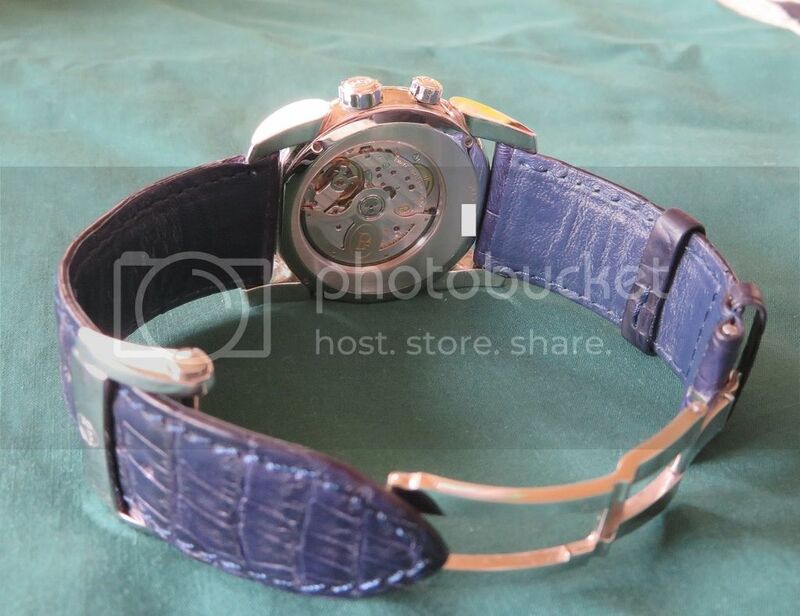 Up for sale is a stainless steel 42mm Parmigiani Fleurier Tonda Hemispheres watch, PF600216, with a light blue dial, blue alligator strap, and deployant clasp. 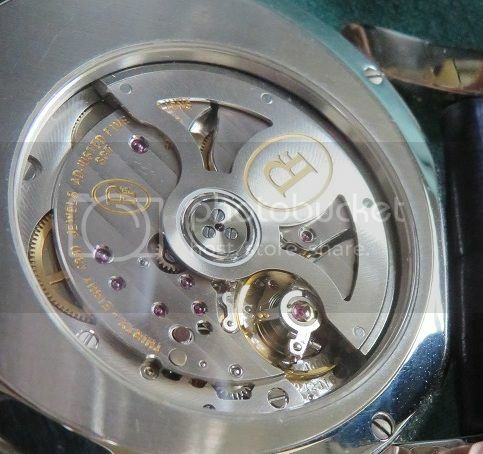 This is a dual time complication watch, powered by a self-winding movement. This watch is one of the very few dual time watches that is capable of setting the second time zone in 30 minute increments, because it shows the second time zone on a completely separate register. Parmigiani is well known for having the highest level of quality and finishing, and this is obvious from the details on the dial, as well as the beautifully finished movement. 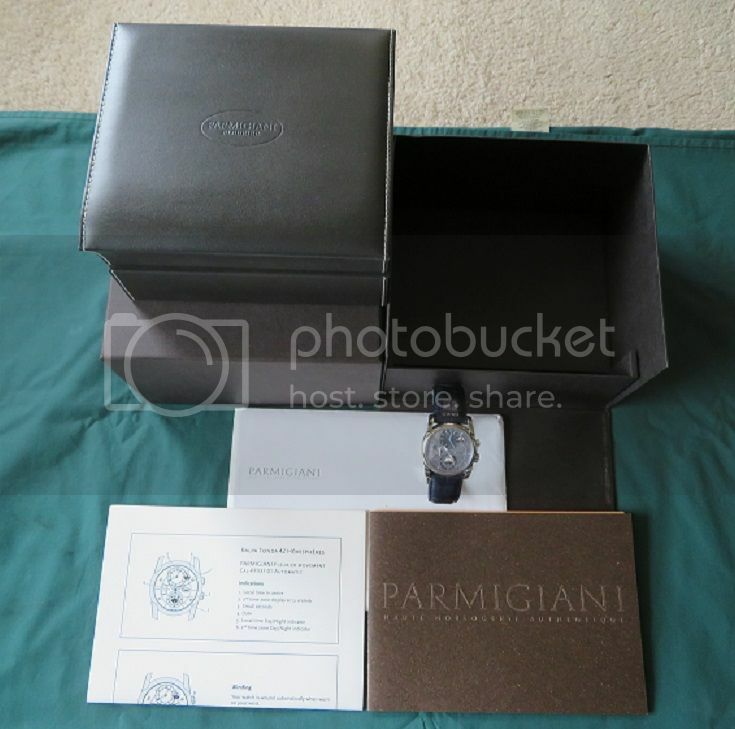 This watch is 95%, and comes with the inner and outer boxes, stamped warranty and instructions booklet. As if you'd have bought it new from the AD. The watch was worn in rotation for about 1 to 2 days each month. The MSRP for this watch was $18,000, but I'm offering this one for a price of only $6,299. 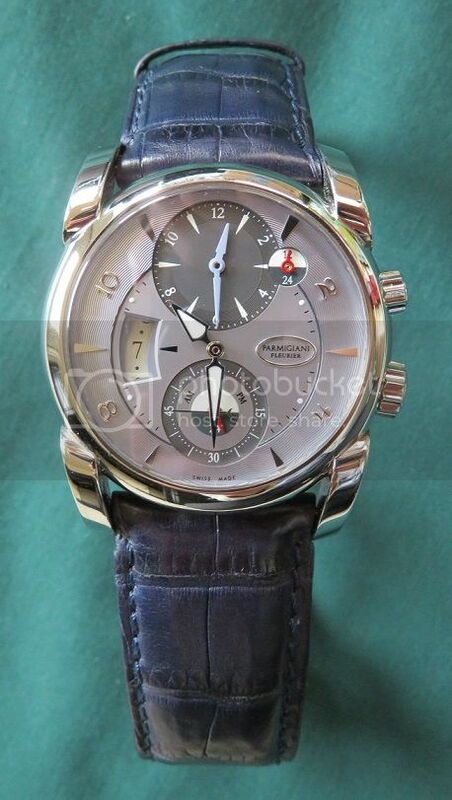 This watch model rarely comes up for sale in the pre-owned market. Buyer pays actual shipping. I will ship overseas, but the buyer must contact me for a quote on international shipping, and be liable for the associated customs duties and procedures. Payment by bank wire transfer is preferred, but I also accept Paypal if the buyer covers their transaction fee. 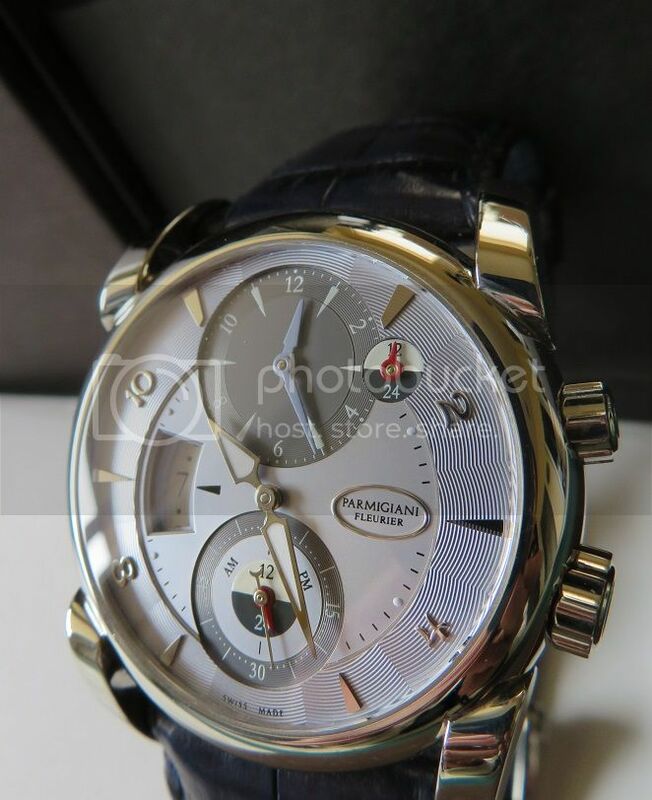 I've sold watches here on TZ and WUS with lots of references to provide, and have a long history selling on eBay with 100% feedback. Please PM for questions or references. Reasonable offers welcome. No trades.